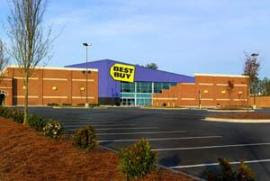 Garner’s own American Idol Scotty McCreery will be signing autographs at Best Buy of Garner at 7:00pm-9:00pm on Thursday 12/15. Scotty will only be signing a copy of his new album titled “Clear as Day” which must be purchased from Best Buy. We will be giving out wristbands the entire day of 12/15 for customers who have purchased the album at Best Buy. Fans must have a wristband in order to get an autograph. Customers/Fans will need to provide a album purchase receipt from Best Buy in order to receive a wristband, we will also have the album for sale. Up to 900 wristbands for an autograph will be handed out on the day of the signing. Stay tuned for further details and feel free to email the store manager michael.courtney@bestbuy.com for any questions you may have. This article is about Josh Turner but he had some nice things to say about Scotty & country music, in general, so I felt it was worth posting here. I've only posted the portion of the article that pertains to Scotty, but you can click on the link below to read the full article. 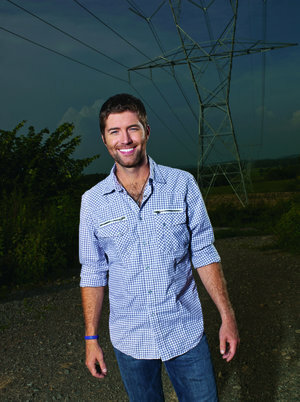 Josh Turner loves seeing new faces “waving that country music flag,” especially in Hollywood. Watching teen Scott McCreery vie for the “American Idol” title in May on the Fox TV show’s 10th season, Turner found himself a fan of both. Calling last week from home in Nashville, Tenn., Turner talked about how flattering he found fellow baritone McCreery using two of his hits – “Your Man” and “Long Black Train” – en route to winning the crown. 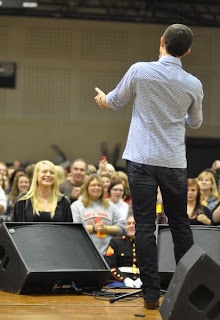 Turner, who celebrates his 34th birthday Sunday, the day after his concert Saturday at House of Blues in North Myrtle Beach, witnessed what called “the power of television” at work when attending McCreery’s homecoming as a surprise guest May 25 in Garner, N.C., outside Raleigh. After winning American Idol with the support of millions of people across the country, Scotty McCreery had to know he’d become a pop culture fixture – however fleeting it may be. But on Monday, before a relatively paltry audience of 1,400 students and staff members at Burlington High School, McCreery realized he’s arrived as a legitimate artist on the country music scene. Singing a trio of songs from his recently released No. 1 debut album “Clear as Day,” McCreery experienced a bit of a revelation: it was one of the first times he’s heard an audience singing along with songs that are uniquely his – not the hits made popular by other artists on an American Idol theme night. “That’s a good feeling having them sing it back to you,” he said of the crowd’s reception at BHS. That ability to connect with the music-buying public will likely mean the difference between forging a career on par with the likes of Carrie Underwood and Kelly Clarkson, or simply becoming a footnote in American Idol lore. While the deep voice (as smooth as a Tennessee river stone and fresh as Appalachian air) and boyish good looks possessed by the teenager from North Carolina all but guarantee the former, McCreery is in no hurry to rush into stardom. In fact, once the concert was over, McCreery was anxious to get back to Garner Magnet High School so he could attend his bowling class on Tuesday (like most people, he’s an erratic bowler – 170 one game and 70 the next). He also does his best to stick around on Friday nights – before flying out for weekend concerts – so he can follow the school’s football team into the state playoffs. It’s all part of the senior year high school experience that McCreery has no desire to forfeit just because of his newfound fame. In fact, with his proud father standing in the wings Monday, McCreery appeared much like the ordinary high school students who politely sought his autograph, snapped copious cell phone photos and shrieked at the mere sight of him walking into their gymnasium. This is a pretty long article so I only printed a portion of it. Click on the link below to read the full article. Thank you redshoetapper for sending me this article.